Alexander Perkins was 5 years old when he died of encopresis, a bowel disorder that develops as a result of children’s refusal to go to the bathroom. His parents, Leon Chad and Krista Perkins, failed to follow the prescribed treatment, leading to his death in their home. 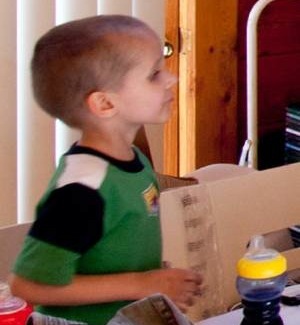 Alexander’s older brother, aged 7, suffered from the same disorder and spent several weeks in the hospital after Alexander’s death. Neither of the boys was potty trained, both were severely malnourished, and the family’s house was filthy and stunk of diarrhea and vomit. The boys’ mother, Krista, had a chronic illness and often did not wake until afternoon. The boys’ bedroom had a lock on the outside and could not be opened from the inside. Five months before Alexander’s death, the boys’ uncle called in a tip, reporting that the children were wearing diapers, were small for their ages, and were “supposedly” being homeschooled. Social workers made a call to the local elementary school to ensure that the boys were registered to be homeschooled (they were) and then determined that there was “no information available from reporter of abuse and neglect as defined by law.” They neither visited the family nor saw the children. Alexander’s brother was placed in foster care, where he was quickly potty trained and began to grow and gain weight. Leon Chad and Krista Perkins were not charged in Alexander’s death, partly because of a coroner who sought to block the investigation. Instead, they were given a number of requirements to meet in order to regain custody of Alexander’s brother.